Servant leadership is more than a passing fad or a recent phenomenon. It offers the wisdom of the ages to a world that desperately needs new approaches to leadership. It should be (and in many cases already is) a source of great interest in the church. Already the subject of many books, articles, seminars and workshops, and even scholarly journals, servant leadership has been adopted by many businesses as their corporate leadership philosophy. It needs to be endorsed by church leaders as our corporate approach to leadership as well. For those searching for how Jesus himself would lead, servant leadership is awaiting your discovery. All royalties and proceeds from the sale of this book will be donated to charity. This book is dedicated to three of Dan’s friends who died too young: Jeff Cottingham, Jim Weller and John Kiley. "This book stands as a testimony to servant leadership in the Catholic Church. 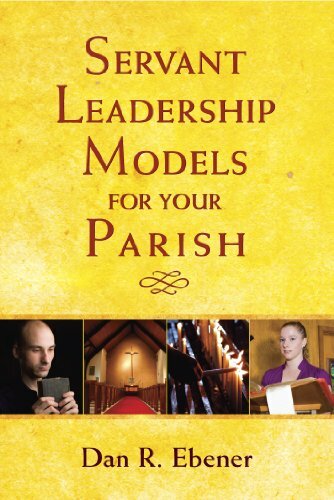 The models depicted provide vivid information of the relationships that must be struck in the church today. To give of oneself freely for the benefit of our fellow man is modeled in this book and we can follow this example in our own life."